Vitrum Glass Group is pleased to announce Russell Williams, P.E., NFRC A.C.E., of Architectural Insider, LLC as their newest Sales and Architectural Representative. 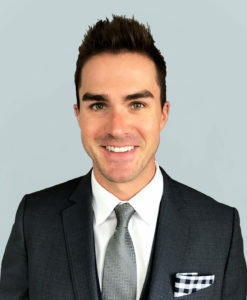 Situated in the Greater Los Angeles Area, Russell will focus on client representation in the Southern California, Southern Nevada, and Hawaii markets. This hybrid role is well-suited for Russell’s unique qualifications. As a Professional Engineer, Russell understands the intricacies of various building systems and has the in-depth knowledge and ability to decipher building codes. This knowledge greatly assists clients in navigating the products best suited to their projects. Over the years, Russell has formed an intricate and extensive business network of architects and contractors. His curiosity and passion for the products he represents as well as his devotion to succeeding on his clients’ behalf are qualities that precede him. Vitrum Glass Group is pleased to announce our relationship with Russell Williams after a very specific and selective process. “We want to ensure that as we expand and amplify our services in various regions, that we are careful to bring in seasoned professionals. Professionals who care about quality and process, and who have experience nurturing long-term business relationships,” says Thomas Martini, President of Vitrum Glass Group. Vitrum Glass Group has been supplying North American customers with top-quality architectural glass products for over 20 years from our 200,000 square foot sophisticated and highly-innovative manufacturing facilities. Our Team works hard to meet the regional needs of clients throughout North America. With Russell’s new role, we look forward to increasing and enhancing service to San Diego, Sacramento, Los Angeles, Boulder City, Las Vegas, Honolulu, Pearl City, Hilo, as well as the many cities in between.